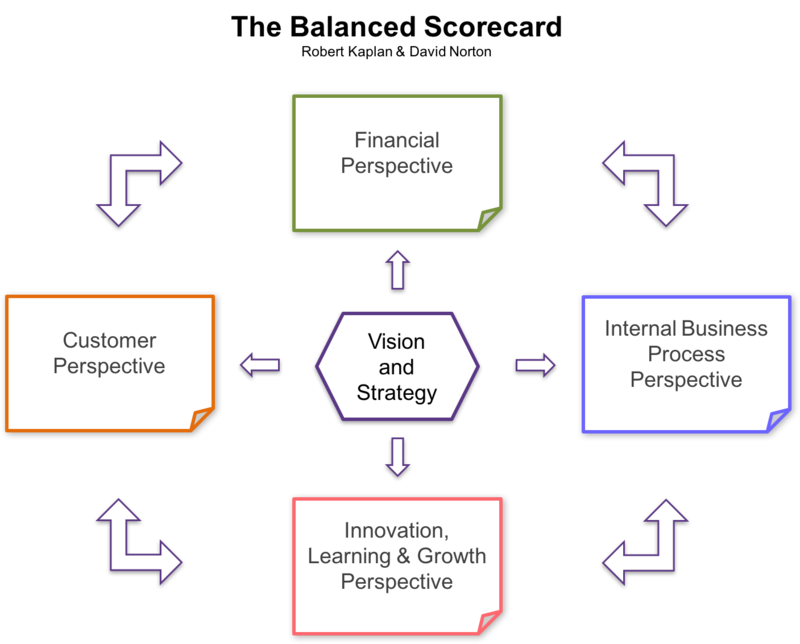 Scientific Management was the first real revolution in management thinking. And it owes much of its vigour and many of its flaws to its founder, Frederick Winslow Taylor. In the closing years of the nineteenth century, Taylor was observing inefficiencies in the manufacturing plants of the United States. And he was finding patterns of disincentives, poor work practices, and waste. If only, he thought, the modern workplace could be revolutionised by the Scientific Method. And he was the man to set about it. 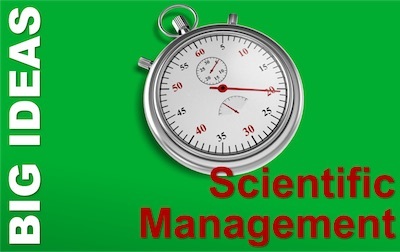 In so-doing, he created the discipline of Scientific Management. The thing about cognitive biases is their pervasiveness. They can affect all areas of our thinking. But some have a bigger impact on management, leadership, and business decisions. And one example is the Halo Effect. 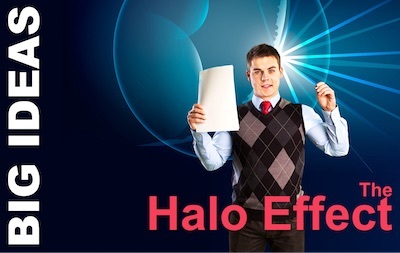 The halo effect can take a single example of excellence, and create the impression that we have a star in our midst. This could be company results, an effective middle manager, or a new hire. With all of these, we have the ability to see something great and assume it is part of a pattern. The evidence for this may be lacking. Indeed, it may be a one-off hot-spot in a field of mediocrity. 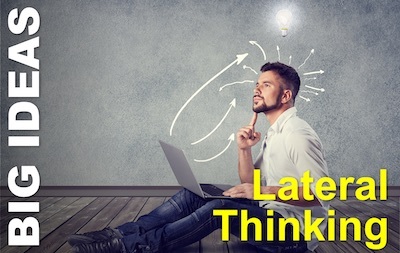 When I created the Management Thinkers series of articles, I always intended a proportion of the thinkers to be doers too: entrepreneurs, business leaders, and management practitioners. In the course of over 160 articles, and nearly 200 eminent individuals, I reckon (because I’ve not counted) around 40 to 50 of them have been active practitioners. Some of those are pure business-people: entrepreneurs, managers and business leaders. Others have been managers at one stage of their career, and then moved into academic or thought leadership roles. If I were to include all the intellectuals and academics who have monetised their thinking with paid consulting, we’d be up to pretty nearly 100 per cent, I’d guess. So I have plenty to choose from in selecting my favourites for you. Next week, we start afresh with a new style of article, so I want you to be able to review my list (if you choose) in good time. This list is therefore as restrained as I could make it. 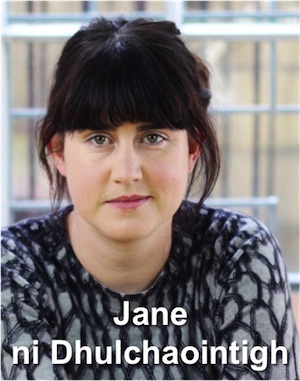 And I’m starting with Jane ni Dhulchaointigh. She gets my top place for not just being a massive inspiration and someone I’d not heard of before researching her post. She is also the only entrepreneur, business leader whose product I went out and bought as a result of researching the post. Check out Sugru, if you’ve not heard of it. If you have stuff to fix, or want to adapt things to work a little differently, you need some Sugru in your fridge. My next pick is Warren Buffett, legendary chairman of Berkshire Hathaway. I’d buy one of Berkshire Hathaway’s shares if they didn’t cost nearly as much as my house… each. Trading at over a quarter of a million US Dollars ($250,000) per share, you can get a sense of the genius of Buffett and his long-term business partner, Charlie Munger, by looking at the stock price in 1995 ($25,000) and 1965 ($19). Of course, we can learn a lot too from business leaders. I’ll select Jeff Bezos (Amazon), Ingvar Kamprad (IKEA), Mary Kay Ash (Mary Kay), Estee Lauder (Estee Lauder), Walt Disney (Disney), Zhang Yin (Nine Dragons), and George Eastman Kodak), as entrepreneurs who grew massive business empires and who have valuable lessons to teach us. Eastman was also a philanthropist and ahead of his time in the way he treated his workforce. So too was Robert Owen. His ideas management over pure command and control seem to us now, 160 years on, to be fresh and modern. I knew nothing of Owen before researching the article, and he blew me away. 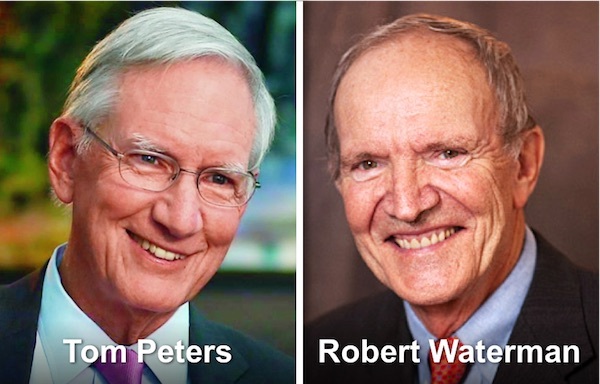 Among pure managers and business leaders, two names stood out: a classic in Jack Welch (General Electric), and a modern hero in Indra Nooyi (PepsiCo). 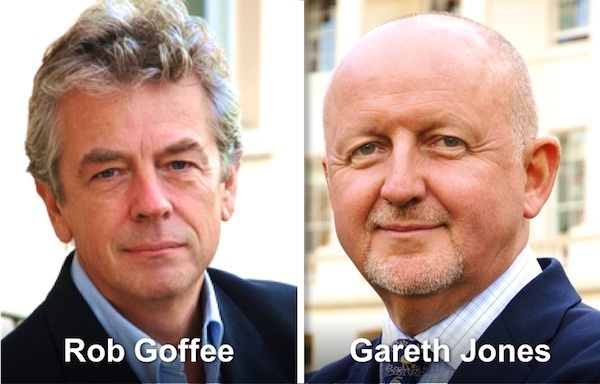 Take a look at the full list of our Management Thinkers and Doers. Who would you pick as your favourites, and why? And who did we miss? I’ll respond to every comment, and maybe do an article on any suggestions that I like. For over three years now, we’ve been running an extended series of articles about some of the finest management thinkers (and doers). Over 150 articles representing very nearly 200 great minds. I used to think our 18 month Pocket Correspondence Course series was a big project! 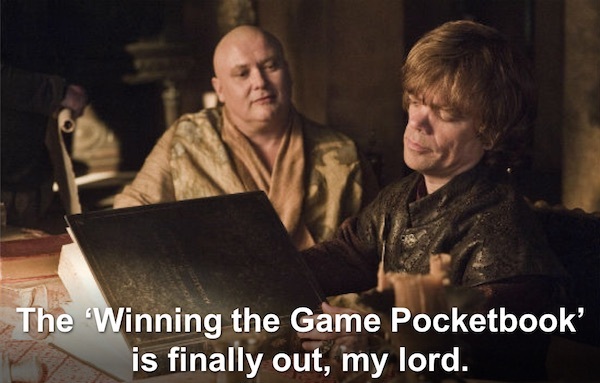 But all things must end. I’ve decided to wrap up this particular series. It isn’t that there are no more management thinkers, business leaders, and entrepreneurs of note.There are plenty. But it’s time to move on. I may return to this theme for occasional one-offs, but from October, we’ll start something new. So, before we do, I’d like to highlight a few of my favourites. There’s no rhyme or reason to this list. They aren’t the best thinkers, nor the best articles. some because reading them again made me smile. But preparing this was a deep pleasure. I indulged myself in re-reading a lot of content: between 125,000 and 150,00 words. That’s about half the length of Game of Thrones! Was how many women made it onto my long-list of 30. There were 14, yet in the series overall around 33 percent of the people featured were women. Indeed, with the single thinkers, I set out to maintain a one-in-three ratio throughout. Amy Cuddy and Teresa Amabile – because in doing both of these, I found that the work that most interested me of theirs is not the work they are famous for. Marshall McLuhan because I finally got to learn more than just a slogan, and the Woody Allen clip still makes me smile like it did when I saw Annie Hall in the cinema. Henri Fayol, Lotte Bailyn, Edgar Schein, Rensis Likert, and Mary Parker Follett, because I knew nothing of their work before I researched them, and what I found blew me away. Brené Brown and Susan Cain, because they are redefining what it means to be a leader and an innovator in the modern world. Robert Cialdini, Mihaly Csikszentmihalyi, Philip Tetlock, Nancy Duarte, and Robert Greenleaf, because their work has taught me a whole lot over the years, and I find myself constantly referring to it. Julia Galef, Amy Edmondson, and Liz Wiseman, because their ideas grabbed me. That’s 17. Not a magic number, and I’m sorry to have left out 13 from my long-list. Between now and next week, read a couple each day, and 7 over the weekend. Next week, I have my favourites among the managers, business leaders, and entrepreneurs who innovated and led with astonishing insight and efficacy. Kenneth Thomas gained his BA from Pomona College in 1968, quickly becoming a research Fellow at Harvard for a year. He then started a PhD in Administrative Sciences at Purdue University, whilst holding a junior teaching position at University of California, Los Angeles. It was at UCLA, that Thomas met Ralph Kilmann, who joined the doctoral program. Ken Thomas stayed at UCLA until 1977. He then went on to hold a series of academic appointments; Temple University (1977-81), University of Pittsburg (where Kilmann was then teaching) from 1981-6, and then the US Naval Postgraduate School. 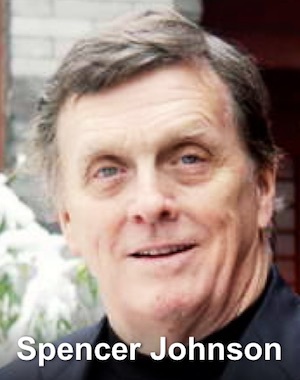 He retired from academic work in 2004. Ralph Kilmann studied for his BS in Graphic Arts Management (graduated 1968) and his MS in Industrial Administration (1970) at Carnegie Mellon University. He then went to UCLA to study for a PhD in Behavioural Science. There, Kenneth Thomas was part of the faculty whilst himself working on a PhD. Kilmann rapidly became interested in Thomas’ research into conflict and conflict modes. They shared a dissatisfaction with the methodology of Blake and Mouton’s version, though they liked the underlying styles and structure. Kilmann focused his studies on the methodologies for creating a robust assessment. Together, they published their work in 1974. Partly by luck and partly good judgement, they chose not to include their 30-question assessment inventory in the academic paper they published. Instead, they took it to a publisher, who made it a widely-used tool. It is still published by the successor (by acquisition) of that original publisher. Over the years, they have worked with their publisher to use the vast data sets now available to increase the reliability of the instrument, and extend its use to multiple cultures. The questionnaire has 30 pairs of statements, of equal social desirability, from which you would select one that best represents what you would do. It takes around 15 minutes to complete. It is not a psychometric and requires no qualification to administer and interpret. So, it can be readily used to support training and coaching interventions around conflict with groups and individuals. 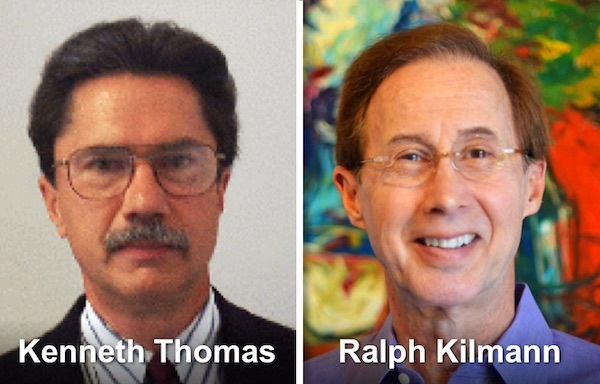 Kenneth Thomas and Ralph Kilmann are neither the first nor last to categorise your possible responses but, measured by popularity, they are by far the most successful. Like Jay Hall before them and Ron Kraybill later, their model looks at our responses on two axes. 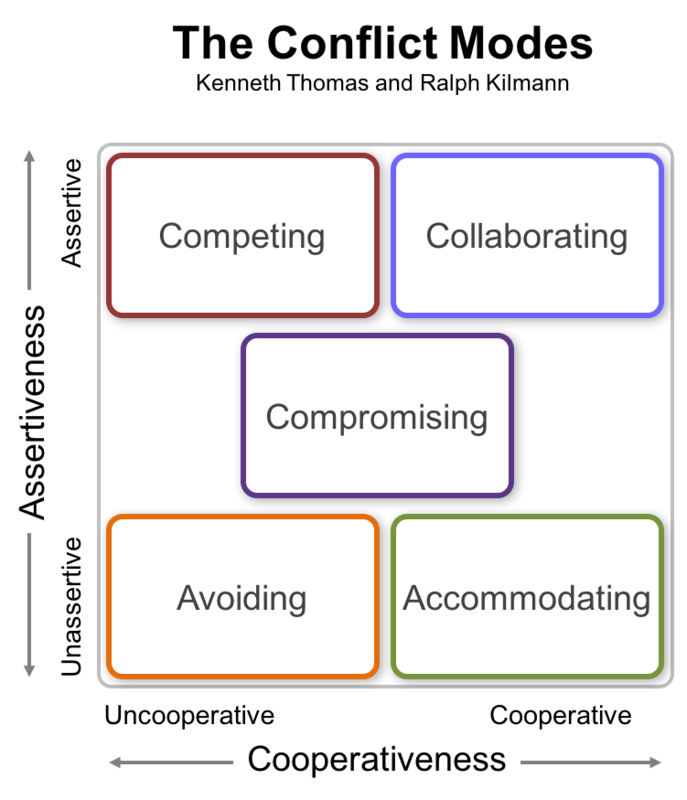 The first axis is ‘Assertiveness’, or the extent to which we focus on our own agenda. The second is ‘Cooperation’, or our focus on our relationship with the other person. As with other models, there are five Thomas-Kilmann Conflict Modes. 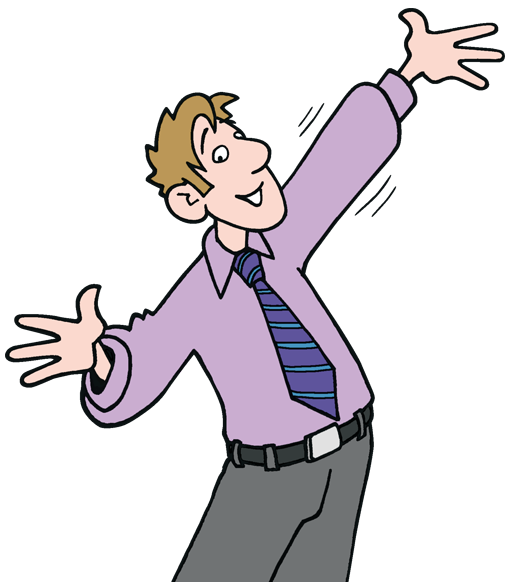 A high degree of assertive behaviour, with little focus on the relationship, is referred to as Competing. In this mode, we seek to win above all else. It is a suitable style when success is vital, you know you are right, and there is a time pressure. The opposite extreme is Accommodating. Highly cooperative and non-assertive behaviour is useful when you realise the other person is right, or when preserving the relationship or building emotional credit is foremost in your strategy. When we want to invest little effort in the conflict, we use the Avoiding mode. With no effort deployed in either getting what we want or building a relationship, this is appropriate for trivial conflicts, or when we judge it is the wrong time to deal with the conflict. This may be due to hot tempers or a lack of sufficient preparation. The good old 50-50 solution is Compromising. When you and I give up equal portions of our objectives, neither gets what we want, but it seems fair. Likewise, whilst our relationship is not optimised, neither is it much harmed. Compromise suits a wide range of scenarios. What can be better than compromise? When the matter is sufficiently important, it is worth putting in the time and effort to really get what you want … and build your relationship at the same time. This is the Collaborating mode, sometimes called “win-win”. Reserve it for when the outcomes justify the investment it takes. The Thomas Kilmann Instrument has its critics. Many users find the forced choice questionnaire frustrating – sometimes wanting to select both options; sometimes neither. There are also concerns about applying the examples to users’ real-world contexts. 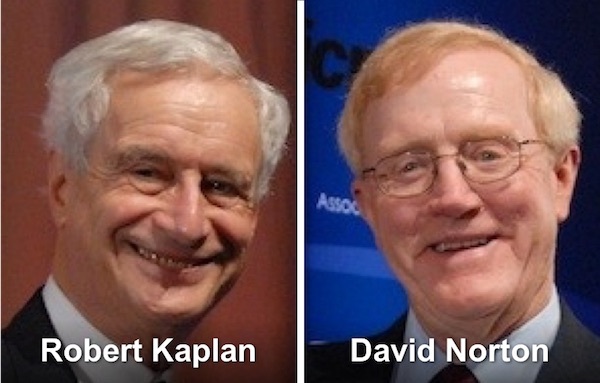 Unlike the Kraybill tool it lacks distinction between normal and stress conditions. 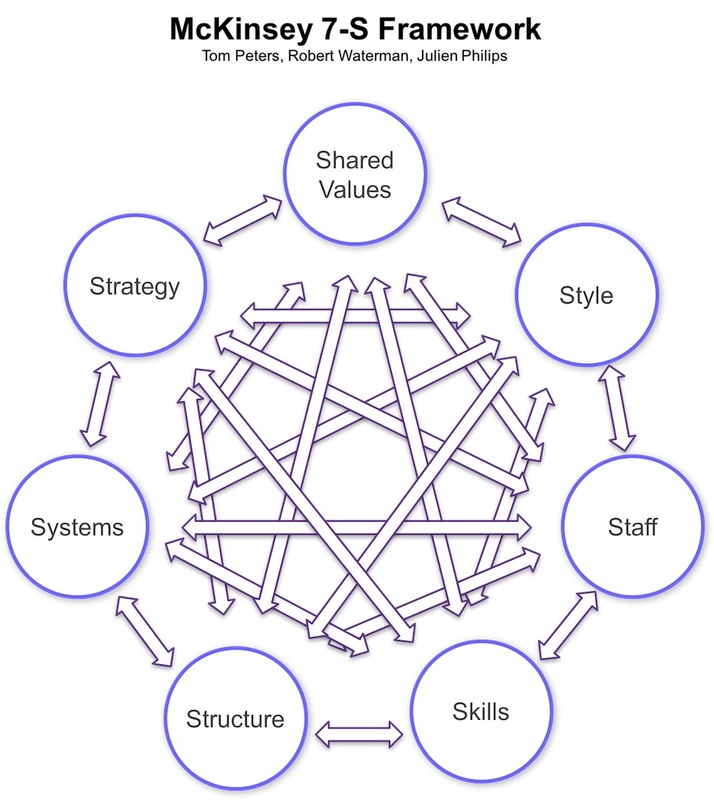 Accepting these weaknesses, the model finds a range of useful applications, even beyond conflict; in team development, change management and negotiation, to name three. Above all, consider it because most users value the insights it gives them. The One Minute Manager series is a landmark in book publishing and popular management education. We’ve covered it already in our assessment of one of its two authors, Ken Blanchard. But the series began with a book co-authored by two equally prolific thinkers and writers, and it’s time to redress the balance. 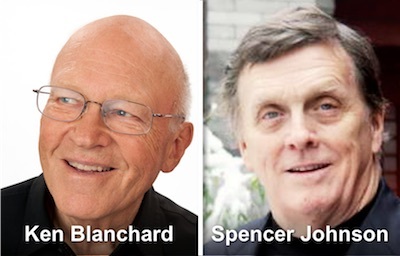 This article started life with the title Ken Blanchard and Spencer Johnson: One Minute Manager. As author of books with sales claimed at over 50 million copies, Spencer Johnson deserves his own article in full, so here it is. Spencer Johnson was born in 1940, in South Dakota. His undergraduate degree was at the University of Southern California, where he got his BA degree in Psychology in1963 (avgy). He then went on to study medicine in Dublin, at the Royal College of Surgeons in Ireland. From there, he worked at the Mayo Clinic and Harvard Medical School, before joining Medtronic as their Director of Communications. Through the 1970s, Johnson was writing a series of books called ‘Value Tales’. These drew lessons from famous lives, like Elizabeth Fry, Louis Pasteur, and the Mayo brothers, who founded the Mayo Clinic, where Johnson had worked. Johnson and Blanchard began their collaboration with The One Minute Manager, published in1982. This was to lead to both of them writing a clutch of other titles, sometimes with other co-authors. For managers, it is Who Moved My Cheese that you will want to be aware of. Like many of Johnson’s books, Who Moved My Cheese is written as a parable: a simple tale that encapsulates the message Johnson wants to communicate. In this case, it is about the choice to fight or embrace change. And the tale concerns four characters, who respond differently to finding their cheese has been moved. In Johnson’s parable, cheese represents what we want in life – or perhaps what we think we want. Because two characters, ‘littlepeople’ called Hem and Haw, turn up at the cheese station every morning, much as many bigpeople turn up to work. Hem and Haw are resistant to change, fearing its impacts, and only learn how to adapt when the benefits are proven. Their counterparts are two mice called Sniff and Scurry, who sniff out opportunities and scurry into action when they find them. It’s a short book that you can read quickly, or absorb slowly. Yes, to some readers it is ‘cheesy’ in the sense of corny, homey, and lacking in sophistication. But my opinion is that it is well worth the time to read and absorb it. Like all parables, the wrapper is far less important than the message. Change happens – all the time. Tomorrow, your cheese won’t be where it was yesterday. You can either anticipate and engage with this, or you can fight it. But the faster you adapt to the change, the sooner you’ll feel comfortable. The simplicity of style coupled with the precision of its message has led to many abuses. Because in organisations where change occurs, there is often resistance. Managers promoting the change see that resistance as hem and haw behaviours. Who Moved My Cheese is too often seen as a simple antidote to a complex problem of resistance. At its worst, a client once told me of a manager who, exasperated by the resistant behaviour of a team member, simply left a copy of Cheese on their desk. I don’t know how well that worked. The best time to read and understand Cheese is not in the throes of change. Read it when you are comfortable, or on the edge of change. And take the time to think about it carefully. It is worth the effort.